Huddersfield is one of the largest towns in the metropolitan borough of Kirklees and this is where we provide relocation services to people in need for a local and cheap removal company. As	a short and long distance mover we move furniture, boxes and household equipment locally and nationwide. Most of our business comes directly from Huddersfield and the areas within 50 miles radius. So whether you are looking for a removal firm in Brighouse, Meltham, Holmfirth, Ellam or you are moving from Huddersfield to London or the other way around we can help. Are you living in Huddersfield, Honley, Golcar, Birkby, Bradley, Mirfield or anywhere within 50 miles? We provide a free survey and quote! Planning a house move require some experience. We have it and are ready to prove it to you. Our move manager can visit you at home to discuss all your needs and plan the move in every detail. We can also provide quotes based on the info you have provided by email or on the phone. However we always send the quote so you have everything in writing. HD3 - Lindley, Milnsbridge, Oakes, Outlane, Quarmby, Paddock, Salendine Nook, Scammonden, Longwood. How to Choose the Right Company for Relocation? There are hundreds of different removal companies in and around Huddersfield today. If you are facing a house move, then you have quite a few options to choose from. However to choose the right firm can be tricky. How do you know which company has employees who always care move and focus on meeting your requirements and needs? There are different levels of moving service that you should consider when you are interested in relocating to a new home. This is vital if you want to be able to move without any stress. You need to look at all the options and make an informed decision. You can choose to move on your own, no matter how many things you have to move. There are different truck rental companies that are happy to provide a vehicle big enough to hold almost anything even the biggest items like double wardrobes, 5-seater sofas, double beds and large dining tables. If you consider effective costs want a cost effective solution and you have plenty of time, then this may be the best solution for you. If you choose to rent a truck for removals by your self, you should note that you are responsible for every aspect of the relocation process. This includes everything from packing and loading and unloading to the driving which is also important when you might be carrying important furniture items. However you will have to hold an adequate driving licence. Moving can become very time consuming this way, especially if you decide to move on your own. You must also know that you will not be able to move everything completely by yourself. Furniture such us beds, sofas and wardrobes require at least to strong guys to carry. It may be even more if the removals in Huddersfield involves carrying goods up or down the stairs. If you can not drive you can simply hire man and van company. If you ask in advance the driver can even help you to carry your furniture. Packaging is the task you will have to complete on your own as everything has to be ready when the removal van arrives. These type of moving companies Huddersfield will give you space to put your items on the vehicle and transport your properties to the place where you have decided to move. 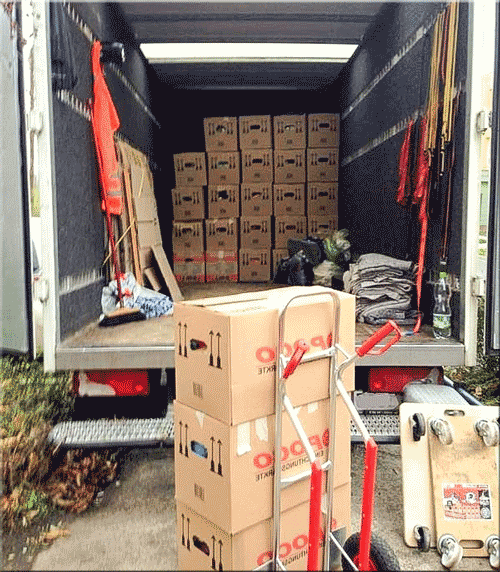 While this removals method costs more than renting a truck, you will save time and you will not have to drive the truck. Remember, that you are still responsible for packing and loading as well as unloading. Also note that you are responsible for any damage that may occur because of the way you have packed your things. So make sure you pack and protect your belongings properly. Our Huddersfield Movers are highly trained people who can come and can take care of the entire operation of relocation. This means that we will pack, load, drive the vehicle, unload and unpack all your belongings. This will not only help you save some time, but you can be sure that things will be packaged in a professional manner as well. There are many removal companies in Brighouse, Meltham, Holmfirth, Ellam and around Huddersfield that specialize in man and van removals and it is all up to you to choose one firm that suits your needs. When you decide to choose one of the many available ones to handle your removals Huddersfield, you need to make sure that you have chosen the right one. If you are moving locally, you may find a variety of cheap or more expensive movers in your local phone book. 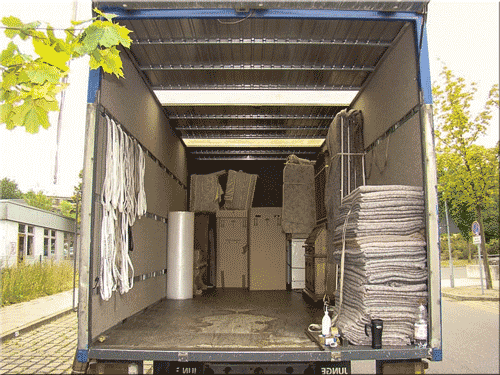 You can also search online and find a list of removal firms that operate in your area. Once you have this list you need to check if they are licensed and whether they can offer you insurance. You have to also check if your movers can deliver furniture to anywhere in the UK. Smaller man and van in Huddersfield tend to provide removal services within the local area only. but do not worry we can handle any type of delivery - national and local. If you travel outside the country, then you will not be able to find many choices in your local phone book. In this case, it is better to go online to see what options you might have when it comes to moving overseas from Huddersfield. You should always check out their licenses and consider as many options as possible before making the final decision. Thank to our wide network of shipping companies we can offer international removals from Huddersfield, Brighouse, Meltham, Holmfirth, Ellam to any part of the World. We can offer very competitive shipping costs to Australia, USA, Canada, New Zealand and South Africa. Read more about shipping companies Huddersfield. When choosing a relocation company you should always look at their history and job records to see if they are professional and reliable. Do not forget to check the references and their policies to see how they deal with damages incurred or with other potential problems. Write a list of all the services you need for your relocation and make sure that the transport company you choose will give you everything you want. Request quotes from multiple man and van companies Huddersfield in order to get a clear idea about how much your house removals will cost you. Make sure you give as much details as the company representative can take in order to obtain a more precise cost estimate. Now you are ready to choose a good mover and go ahead with your relocation. While relocating can seem overwhelming, by following these simple steps you can avoid additional stress and actually have fun when moving. Find a good removal company in HD8 - Clayton West, Denby Dale, Emley, Fenay Bridge, Kirkburton, Lepton, Scissett, Shelley, Shepley, Skelmanthorpe and local movers in HD9 - Birdsedge, Brockholes, Hepworth, Holme, Holmfirth, Honley, Meltham, Scholes, Upperthong, Wooldale. The city is known from a beautiful Odeon Huddersfield Cinema which is located in Galpharm Stadium, Bradley Mills Rd and from the Lawrence Batley Theatre (LBT) located on the Queen St. The University of Huddersfield lures a lot of young people by offering a lot of interesting courses. Each year our student removals team moves hundreds of students to Storthes Hall Park and Ashenhurst Houses - Huddersfield recommended student accommodation. So if you are looking for movers that will deliver your furniture from London, Glasgow, Leeds, Liverpool, Bristol, Glasgow, Manchester and other areas of the UK to Huddersfield or the other way around we are one of the best choices. If you are new to the town and looking for a house to rent in Huddersfield, or want to buy a car from a local seller, or simply need some information you need to get The Huddersfield Daily Examiner - one of the best and biggest local newspaper. It is a great source of information. You can find there everything about living in Brighouse, Meltham, Holmfirth, Ellam and all Kirklees. You can find there job vacancies, hotels if you need somewhere to stay for couple of days before you rent a room or read about best restaurants and some recommendations where to go out for FOOD and DRINK. Contact us today - professional moving companies Huddersfield - HD1 to HD9 coverage. House and office removals offered at the highest standards. Once you have relocated to Huddersfield you can enjoy a professional rugby team - Huddersfield Giants. You can also support the local football club - Huddersfield Town F.C. which has a lot of good players and delivers plenty of good emotions and excitement. The town has also it's own cricket league, swimming pools and quite a few very professional and well equipped gym facilities. We also provide Leeds removals Huddersfield, warehouse relocation and work with best machinery movers. Just give us a call, book a free survey and get your factory removals booked. Our office movers can handle all type of business removals projects. We can move office furniture, files, relocate servers, move computers or work as a business courier. We have moved many companies right in the Huddersfield city centre - West Gate, Queens Gate, Castle Gate, Wakefield Rd, Manchester Rd, Trinity Street, Leeds Road, Albion Street, Lord St and many more. We have moved offices for firms in all Business and Industrial parks in the area - Stanley Mills Business Park, Bradley Business Park, Walnut Business Park, Old Mill Business Park, Pennine Business Park, Cliffe End Business Park, The Ringway Industrial Park or Denby Dale Industrial Park. Office relocaton Huddersfield does not have to be expensive!